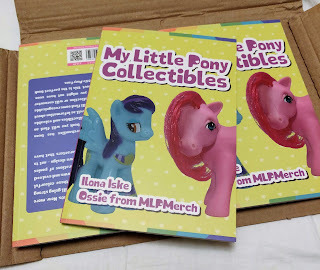 Our Book My Little Pony Collectibles is Now Available! 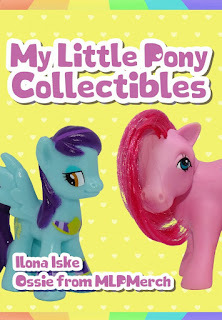 We're happy to announce that our first book My Little Pony Collectibles is now available! As we shared last month this is our contribution to the 35th Anniversary celebration of My Little Pony. In the book we take you on a journey through time from the very first ponies, all the way to the 4th generation. Through this history we highlight several sets and facts, resulting in a colorful 96-page book, counting 150 photos of ponies from ourselves and fellow collectors from around the world! It's been a bit quiet on MLP Merch lately, and that's not all down to the fact that there isn't much to report on: We're working very hard to get the biggest update of MLP Merch ever ready for release next week! Followers of our Twitter might have spotted some teasers hinting on the release, and we're now so close to a release that we'd very much like to share with you what's going on. To get the biggest change out in the open: we're adding the classic G1, G2 and G3 ponies to the database! This allows everyone to finally get a complete checklist and wishlist of ponies outside of just G4 ponies and merch. Aside from this we're also adding a long awaited feature to the database, namely that of adding personal notes to ponies. Through this way you can keep note of how many ponies you own, if there's anything missing from a set or to keep track of where you bought a pony from. And there's more that will we added next week, so keep an eye out for the release next week! We hope that you understand our current lack of posts in favor of this update and are looking forward to the release next week. We'll keep you posted! 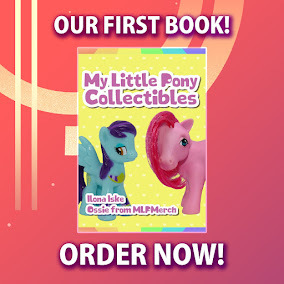 Our First Book: My Little Pony Collectibles - Now Open for Pre-Order! First of all we'd like to give a very big and kind thanks to Amberley Publishing for giving us the opportunity to make our book reality! Remember our post on the first of April this year? We kept everyone in doubt on whether the announcement was a joke or reality, but today we can finally reveal the answer to you: it's real, and it's coming next month!